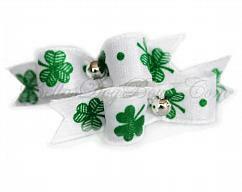 SET - 3/8" Sweet Shamrock Irish Petite Bows with Matching Flags. 2pcs. 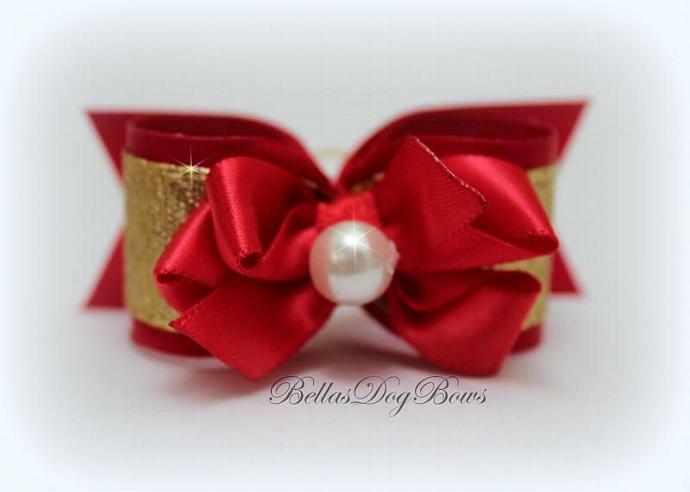 Gorgeous Red Satin Bow created for special occasions has a Gold Metallic Ribbon Overlay and is finished off with a free style Red Satin Bow and a Large White Pearl. 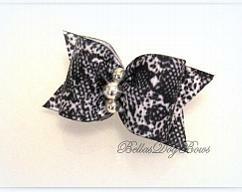 This bow is gorgeous and everyone will know your little dog is definitely quite special! 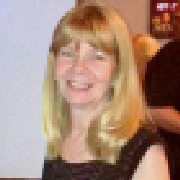 Perfect for the Holidays and most Special Occasions! 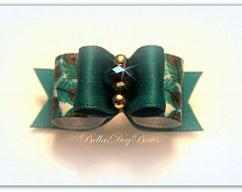 ** Two 1/4" strong orthodontics bands have been sewn on to secure to your dog's topknot. 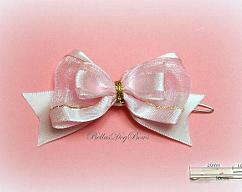 ** Perfect for Yorkies, Maltese & Shih Tzu.